Coastside Adult Day Health Ctr. Program hours:10am - 2 pm Monday through Friday. 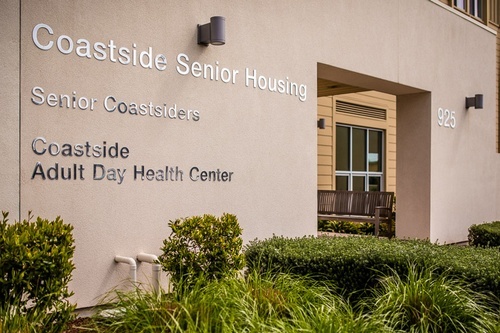 Since its inception in 1982, the Coastside Adult Day Health Center’s mission is to keep people as healthy, active, and independent as possible, when advancing years or physical/mental conditions call for extra care and attention. Our care program services include health, memory, activities & support. Coming from 92 west turn left on Highway 1 and left on Kelly Avenue. Turn right at Purissima, and left on Correas St. Coming south on Highway 1 turn left at Kelly and follow the route above.